Hellego! As you probably know, up to know, Lego has released three Lego Minecraft sets. 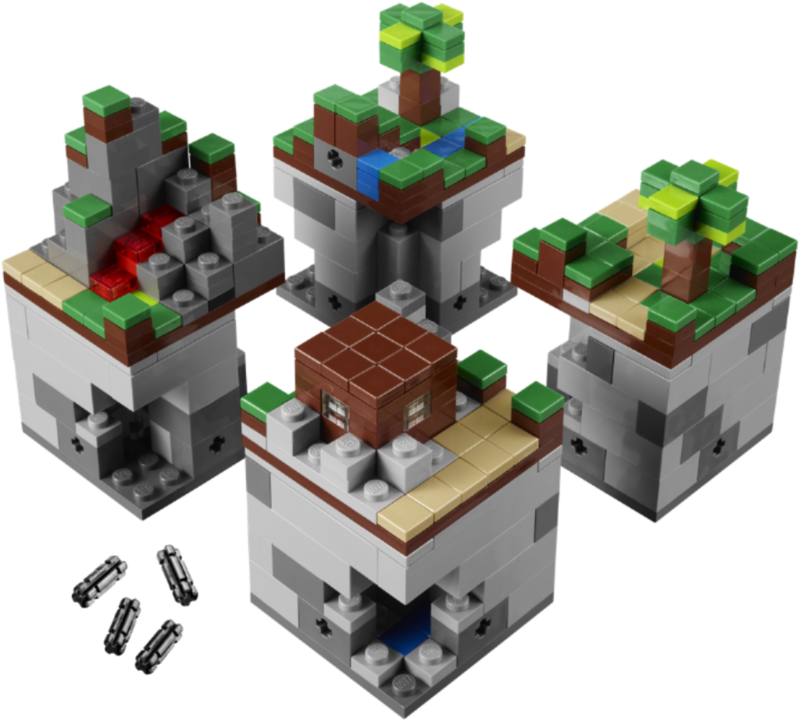 The original one from Cuusoo, simply called Minecraft Micro World, there is also the Village Micro World and the Nether Micro World. Now, on June 1st, Lego will be releasing a new micro world: The End. The set will be priced like all the other ones between 35$ to 40$. For those of you who may not know, in the Minecraft video game, The End is a world you travel to after many steps in the game. There is the Ender Dragon that you have to beat and this place is a floating island in an empty void populated by Endermen. Once you manage to kill the dragon, you beat the game. Now obviously, this is not a place where you go very often in the game. In fact, a big part of the people who play the game have never even managed to get there. Now the set will feature of course the Lego micro version of this world, the Ender Dragon and three or four Endermen. It's not yet clear how many Endermen there will be because on the box you see four, but in the picture of the Micromobs there are only three. I think it is very exciting to be getting Endermen as new Micromobs since they are very popular mobs in the video game. It's also nice that we will be getting multiple Endermen with the set. I think this set looks really cool! It represents very well The End world from the game and the Ender Dragon looks very cool. The fact that you get Endermen is also very nice. Although as cool as it looks, I think the actual Micro World looks a bit boring. There are the big pillars a couple of hills and not much underground. 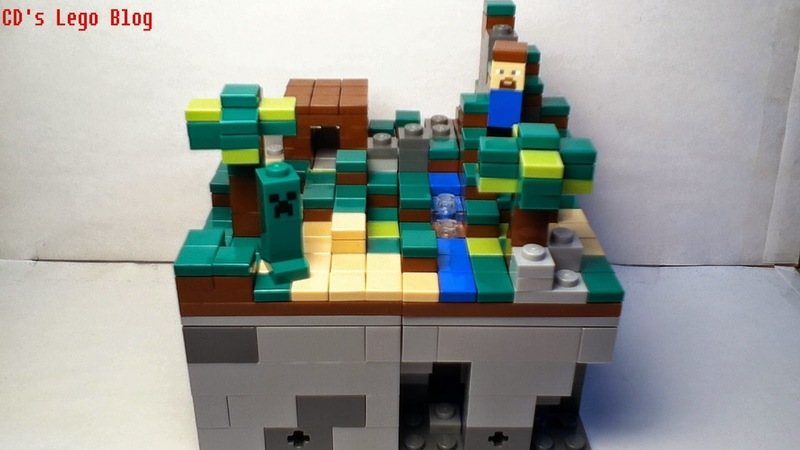 If you compare it to the original Minecraft Micro World set, it had caves, trees, different types of land, sand, water, lava, different rocks in the underground caves, a cabin, etc. There was simply much more to it. "Used by permission,® 2014 The LEGO Group"
So overall, I think it's very cool that we are getting a new Micro World set and I hope it will not be the last. The Micromobs in the set look great and the world itself is very well represented. I just think that the world isn't as varied or exciting as for example the Village or the original set. But again, I am happy Lego is releasing another Micro World and I think they did a good job. What do you think of this set? Are you excited for it? Let me know in the comment section!